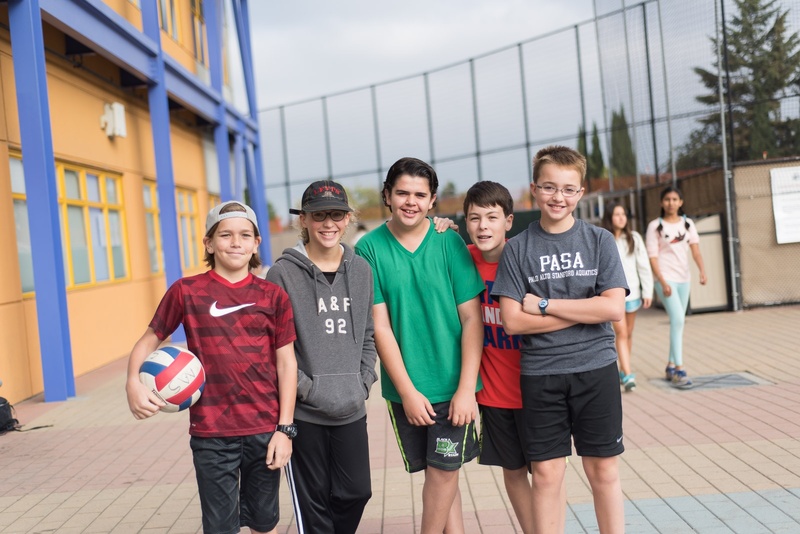 At ISTP, we developed the Advisory Program to equip our International Middle School students with the skills they need to navigate this transition. Beginning in 6th grade, students are assigned to an Advisory Group of around 8 students, each guided by a different middle school teacher. 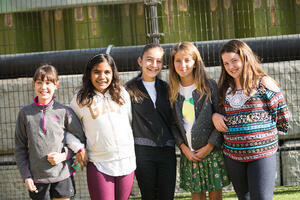 Advisory groups remain together all three years of Middle School, allowing students to really get to know each other. Advisory sessions, which meet for one hour a week, are student-centered, and often begin with each person checking in with their teacher and peers about how their week is going both academically and personally. Students are given a safe, judgment-free space to express themselves, support their peers, and receive support in return. Middle School principal Jacques Rancourt says that "students are surprisingly open and honest with each other, and generous in offering encouragement." The Advisory program also allows teachers to really get to know and become advocates for their students. Math teacher and advisor Kammie Lara explains, "the middle school Advisory Program gives the students an outlet and safe place to bring up anything that might be stressing them out or worrying them. I also think it is an important time that they can form a special bond with one of their teachers in a non-academic classroom setting. This might be someone that they can confide in at some point, and provides a safe adult for them to talk to." "As their advisors, teachers become the "go-to" person for students and their parents. The advisors look out for the students, check in with them to check their progress, and follow up if there are any issues. Advisors can be the point person for contact between home and school for the families." In addition to check-in and discussion, advisory time is devoted to four key areas – social-emotional learning, community-building, Approaches to Learning (ATL), and digital citizenship. Students might work on developing their social-emotional skills by practicing conflict resolution methods, or acting out different social scenarios in skits. Community is fostered during check-ins and team-building activities. Advisory groups also discuss difficult topics that impact the community, such as the death of a parent, or a traumatic national event. Advisory is also a time when students work on developing their ATL skills (Approaches to Learning), which are an important part of the Middle Years Programme* (MYP). ATL skill categories include communication skills, social skills, self-management skills, research skills, and thinking skills. For example, students may examine “how do you set goals?” by working together to build a card pyramid. 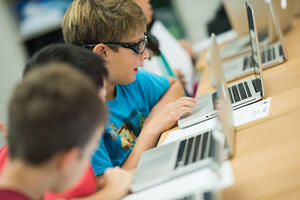 Finally, Advisory also addresses a very important topic for today’s adolescents – digital citizenship. Social media has been shown to have a huge impact on teenagers’ mental health and well-being, and ISTP utilizes resources from Common Sense Media to help our students develop a healthy relationship with technology and internet usage. We have also welcomed guest speakers from Common Sense Media in the past to directly speak with our middle school students. When asked to reflect on her experience in the Advisory Program, 8th grader Miriam W. says, "The advisory program has been very helpful throughout my middle school years. It has allowed me to connect with my classmates but also with my teachers. I think the Advisory Program would be important for future middle school students because the program teaches you skills and subjects that no other classes teach you."